By focusing so much on their benefits and competitive advantages sellers can easily lose their grip on the sale. To get maximum leverage they must connect with what the buyer is really trying to achieve. That is the buyer’s strategy. How To Get Maximum Leverage Over The Sale? We use a metaphor to explain how the most important aspect of the buying decision can be overlooked by sellers. We will take an everyday item – the spanner or wrench – and use it to show how sellers can get a better grip on the sale. Getting a grip on the sale can be a real challenge. So the spanner is a simple yet powerful analogy for the complex sale. A spanner or wrench provides grip and applies torque to turn objects. In the case of the buying decision the spanner looks something like this. There are 4 parts of the sale, or to be more precise 4 parts to the buying decision that the seller must work upon. Most sellers however work only on two or three and neglect the most vital one of all. The result is that they can easily they lose their grip on the sale. Key to the power of a spanner or wrench is its long handle – it provides maximum leverage, as well as good grip. The handle is the strategy – it is what the buyer is trying to achieve – the goals, objectives and strategies of the organization, department, project or buyer. The long handle is the ‘why’ of the purchase – the reason why deals proceed, or get stalled. But most sellers fail to get a real grip on the buyer’s strategy and that can cost them the sale. The only problem is that in this form the spanner has little real leverage in terms of getting the purchase sanctioned, or delivering the result that the buyer wants. It is of little use to either the buyer or the seller. 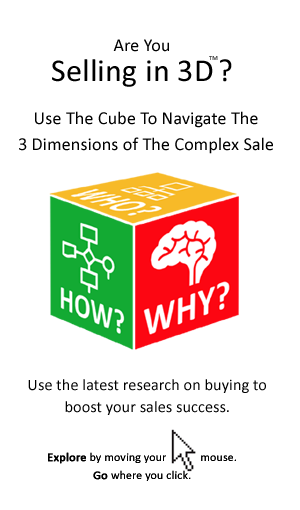 Sellers spend much more time talking about the benefits of their solutions and their company’s various competitive advantages, that what the buyer is really trying to achieve. 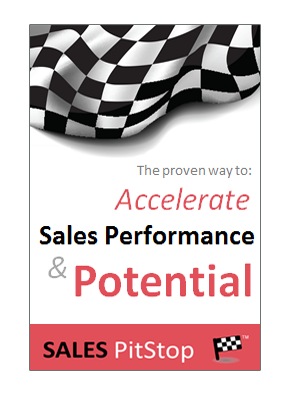 The result is that their sales process, give them only a loose grip on the sale. Obviously getting the sale depends on the seller fit his/her solution to what the buyer wants to achieve. But increasingly that is not enough. Although as sellers we believe our solution fits ideally to the buyer’s needs, but don’t always win the deal. Increasingly it is not enough to ensure a tight grip on the sale. The most important of all is get a real grip on the buyer’s strategy motives – that is the business drivers, metrics and goals related to the purchase. Behind every important purchase decision is a more fundamental business decision. But sellers who spend most of their time focused on seller and solution overlook this important fact. Deals don’t stall because the buyer cannot select a supplier, but because the strategy has not been sanctioned, the priorities have changed, or the business case is not compelling. The strategy is what gets budgets approved and projects accelerated. The purchase is not a stand-alone event, it must be consistent with past decisions and present strategies. It raises deal stalling issues of strategy, risk, compliance and politics. It is vital that these issues are addressed by the seller, otherwise they run the risk of stalling the deal, or putting it in the hands of a competitor.